White Oak Global Advisors was seeking to expand its term loan lending business. So in December, the company acquired Capital Business Credit, a capital lender with ABL and factoring platforms. CBC was recently rebranded as White Oak Commercial Finance, and its executive chairman, Andrew Tananbaum, is ready to go to market. White Oak Global Advisors, a successful San Francisco-based asset management company, didn’t need to consult an online matchmaking service when it decided the time was ripe to expand its ABL and factoring platforms. 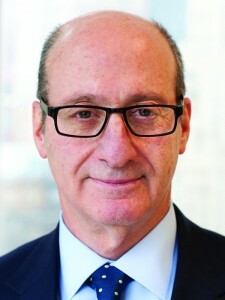 Capital Business Credit, under the leadership of Andrew Tananbaum, had a prominent position in the factoring/ABL firmament and seemed like the perfect partner. So in December, White Oak acquired CBC to the satisfaction of both parties. In May, White Oak rebranded CBC as White Oak Commercial Finance and went to market with its new offerings. “The White Oak Commercial Finance platform will provide asset-based loans, equipment financing, factoring, working capital solutions and credit services, ranging from $1 million to $100 million, to small and middle market companies. This provides a greater number of companies with access to more capital and services than previously offered by either White Oak or CBC individually,” said Andre Hakkak, CEO of White Oak. Tananbaum was named executive chairman of the new entity and is excited about the opportunity to expand into new markets and handle bigger deals than Capital Business Credit was capable of putting together. “We can go to market with a much larger hold position than we had before the sale. Our largest loan before the sale was under $20 million. So, today, with the support and resources of White Oak, we can hold upwards of $100 million to $150 million. We have a much larger loan size area, and layered into the loan size is loan product types. So that we can, under the right circumstances, provide multiple capital solutions to the borrowers. From term loans to revolving credit, senior, first in, last out term loans, loans in the retail space. We think that given the balance sheet, given the way they aggregate the assets, there is a good opportunity for us to provide small, medium and large deals. Not too many people are trying to do that,” he says. From White Oak’s point of view, Tananbaum points out that CBC offered an entry into the factoring trade finance, import finance and domestic receivables finance business and connections with people in the consumer supply chain. The company also had $300 million in assets, adding to the attraction. Tananbaum adds that among CBC’s greatest assets were the 80 to 90 veteran staff members and a global footprint with offices in New York, Los Angeles, North Carolina, Florida, Shanghai and Hong Kong. Like many others in the nonbank lending world, Tananbaum inherited his passion for the credit business. “Let’s say that factoring was basically in my family’s DNA,” he says. “My father and his two uncles acquired a small textile converter company called Tanbro after the war, and they had as many as seven different factoring firms that they used in their converting business. And then they purchased control of Century Ribbon, a bigger textile converter, around 1952. From there they expanded into the factoring business, not only with factoring some of their own businesses, but also opened their business up to the marketplace to do volume and factoring with other businesses in the industry. At Century, however, Tananbaum and his family in New York saw that the world was changing and the textile business was moving eastward — far eastward. “We were the first to go overseas, taking our domestic clients, who were wholesalers selling to retailers, over to Taiwan, Korea and Hong Kong to manufacturer and import product from overseas,” he recalls. The company’s client base transformed to the import side and Century began to finance inventory and provide letters of credit in addition to factoring and receivables. “As early as the late 1980s to 1990s, I began to see purchase order finance of undercapitalized but very successful apparel importers. We started to see the business growing the way it did, in very large multiples of volume. We also started to focus a little bit on ABL which is a little more industry agnostic than the narrow focus of factoring, trade finance,” Tananbaum says. Century continued to grow until the family sold it to Wells Fargo in 1998. In 2005, Tananbaum purchased what became Capital Business Credit from Regents Bank and started all over again. And he continued the family aspect of the business bringing in another generation. His daughter, JoBeth Tananbaum, is a senior originator for White Oak. With the political winds whirling and rumors about tax cuts, deregulation and interest rate hikes, Tananbaum remains solidly optimistic that the middle market will continue to thrive and that White Oak Global Advisors can successfully compete with banks whatever the environment.